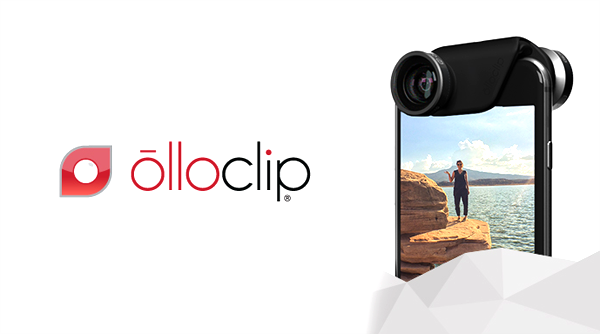 Olloclip’s premium clip-on lenses have long since extended the capabilities of smartphone cameras, particularly the rear-facing shooters of the Apple iPhones down the years. We’ve already heard the reviews of photography aficionados with regards to how good the iPhone 6 and iPhone 6 Plus snapper actually is, but while Apple has definitely made some big improvements in terms of both hardware and software this time around, there’s no doubt an Olloclip could take things to the next level. The start-up has continued to churn out these great, multi-functional lenses to offer such benefits as wide-angle and fish-eye shots, and now, the 4-in-1 for iPhone 6 is almost upon us. Often, it pays to leave the killer feature until last, but in this instance, we just couldn’t help ourselves. Despite having been lauded as an accessory touting great design while permitting high-end handsets to produce more varied photos and videos, the folks at Olloclip have still found a way to greatly enhance the practicality and general usefulness of an already-awesome product by supporting both the front and rear-facing cameras of the iPhone 6 and 6 Plus. For the most part, smartphone users have only tended to utilize the stronger camera to the rear, but with the rise of the selfie – a bug that seems to have caught almost everyone – it’s no surprise that Olloclip has felt it necessary to bring its requisite lens to the front camera as well. As ever, you get your fish-eye, wide-angle, 10x and 15x macro lenses, and thankfully, the new Olloclip is designed in such a way that the one form factor fits both the iPhone 6 and iPhone 6 Plus. Given that there’s scarcely 0.2 millimeters between Apple’s flagship smartphones, making an adaptable lens wouldn’t have been too difficult, but the fact that it can be used with either means that if you eventually decide that your iPhone 6 is too small or, conversely, that your 6 Plus is too large, you’ll still be able to reap the benefits of the all-new Olloclip if you switch. The 4-in-1 for iPhone 6 and iPhone 6 Plus won’t be hitting the retail market until the end of next month, but if you want to make sure that you don’t miss out on that initial inventory, you can make a pre-order right now for the cost of $79.99. Head over to olloclip.com to get started!